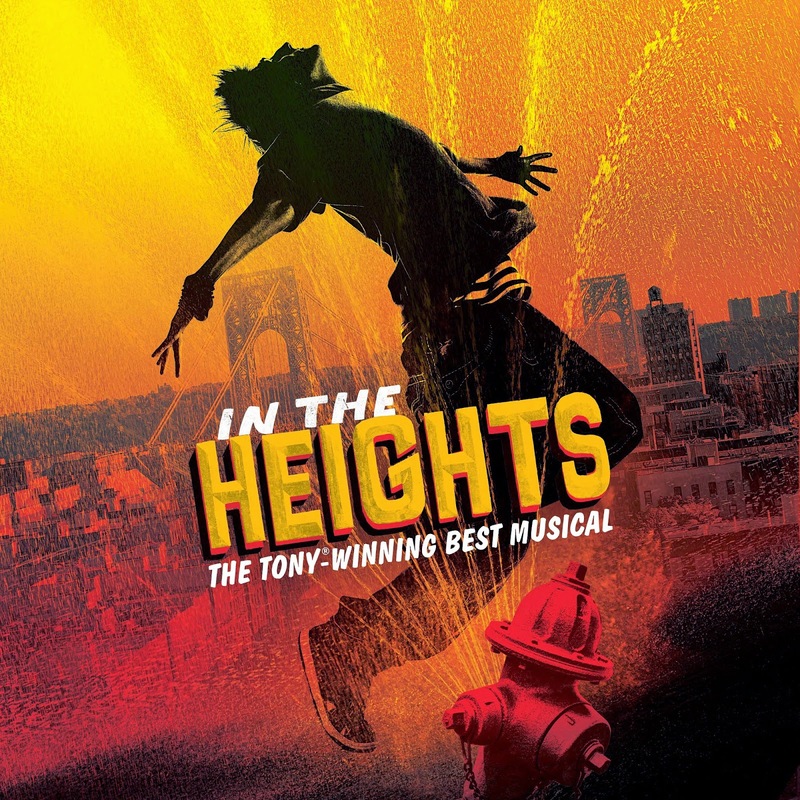 How In The Heights is only now, six years after its Tony-winning Broadway run, debuting in the UK is beyond me. I haven’t smiled so much in a theatre in a long time. One reason is perhaps for its subject matter and fears it may not translate to a UK audience. Set in the Washington Heights neighbourhood of New York known for its Dominican community, the show is essentially Rent meets West Side Story and explores the lives of Hispanic people living with poverty and crime. Though they all aspire to leave, their only way out is based on pure luck: to win the Lottery. This is hardly a hard-hitting drama however. The light-hearted narrative focuses on two main characters, Usnavi (Sam Mackay) and Nina (Christina Modestou): the former the owner of a local bodega (convenience store) in love with the provocative Vanessa (Emma Kingston); the latter a typical good girl arriving home from college to her dominating parents - Kevin (David Bedella) and Camila (Josie Benson) – and her lover Benny (Wayne Robinson). It’s the usual youthful story of young love and overbearing parents that isn’t particularly original, whilst what little drama and danger there is takes a while to kick in. Yet despite its slew of Spanish in-jokes, the scorching Latin fire and passion of In The Heights is nothing short of infectious. It’s the dazzling score and choreography of this production that makes it such unadulterated fun far beyond the narrative, set off by such a talented young cast. Lin-Manuel Miranda’s original and catchy score is a fusion of Latin rhythms and American hip-hop, not only reflecting the plot but both traditional and contemporary tastes. In this mix Usnavi raps all his lines, filled with the usual braggadocio and comical rhymes associated with the genre – Mackay delivers these like a West End Eminem, with both style and clarity. Elsewhere Modestou and Kingston offer some spine-tingling vocals as Nina and Vanessa in some stunning pop ballads; Eve Polucarpou offers a powerhouse performance as local matriarch Abuela Claudia; Robinson proves he’s got a smooth vocal alongside his pecks as Benny; and Victoria Hamilton-Barrit is hilarious as the gossiping, volcanic salon owner Daniela. 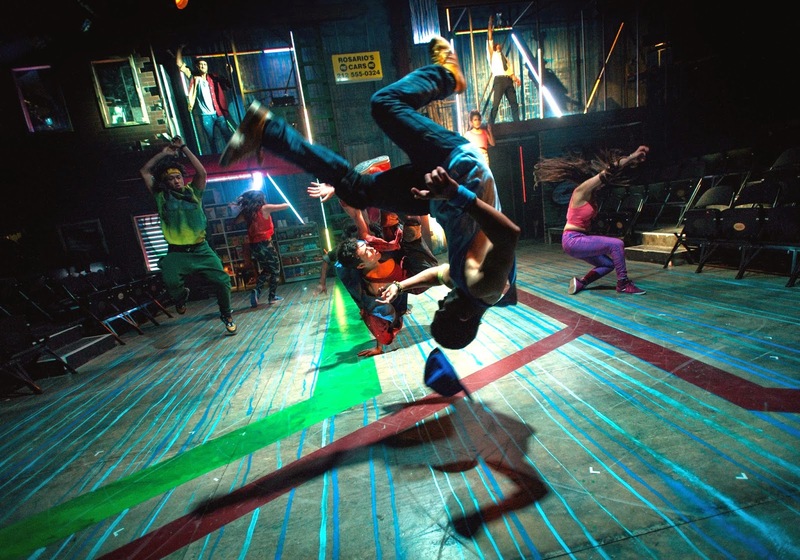 The music is complemented by Drew McOnie’s electrifying choreography. Again fusing the two styles, the cast slink and sashay from salsa and samba to breakdancing, negotiating the intimate space with effortless cool. The skill, stamina and sheer energy of the cast is unmatched in any current West End production, resulting in a musical that’s lively and vibrant like no other. All of this culminates in a heady, sexually charged atmosphere that’s hotter than the sun (quite literally in the theatre space). In The Heights is all of the best ‘s’ words: sassy yet sensual, sweaty, smouldering and simply superb. 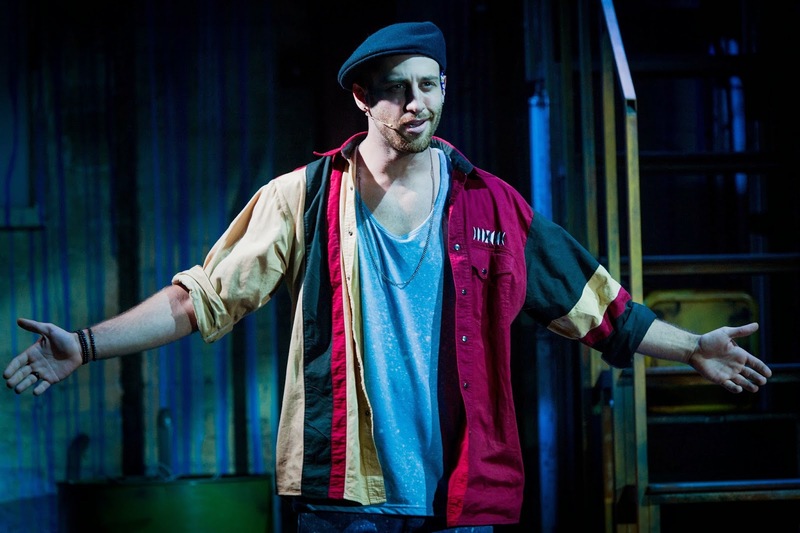 Watch: In The Heights runs at the Southwark Playhouse until 7th June.